Designed for inland and coastal sailing off Finland & Sweden, this seaworthy little boat with canoe stern, large wheelhouse and accommodation for four, has lots to offer. Reliable under power or sail, the long keel with bilge plates gives a good combo of seaworthiness offshore and the ability to navigate shallow waters and harbours or even take the ground when inshore. She can be steered from outside in the sun by tiller within the deep cockpit or by wheel in the wheelhouse with protection from the weather. There is a handy viewing hatch over the inner helm so you can keep an eye on your sail plan. Although the headroom in the accommodation is quite low, the upholstery, headlinings and wood work all seem good and she has a nice cosy feel to her. The galley in the wheelhouse is handy for getting your own cuppa whilst helming. This vessel would make a good family weekender. 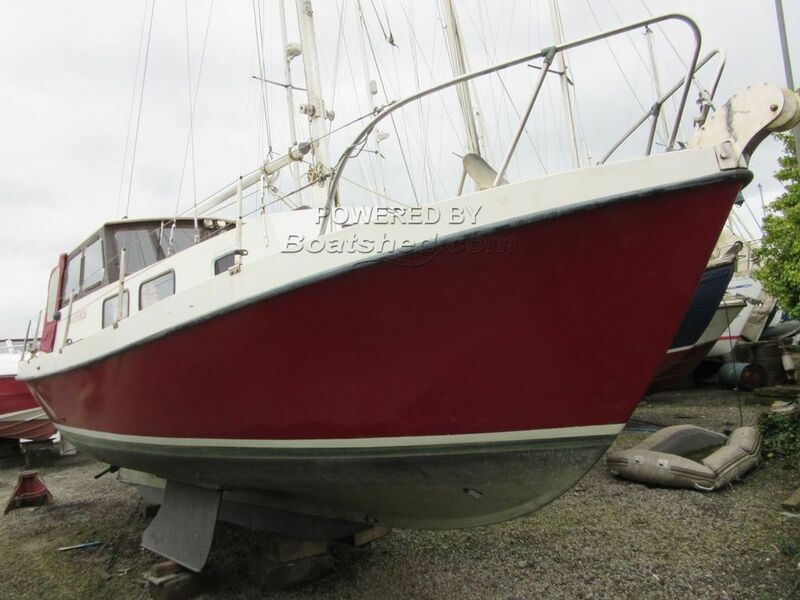 This Nordic 81 has been personally photographed and viewed by Billy Hallam of Boatshed Plymouth. Click here for contact details.